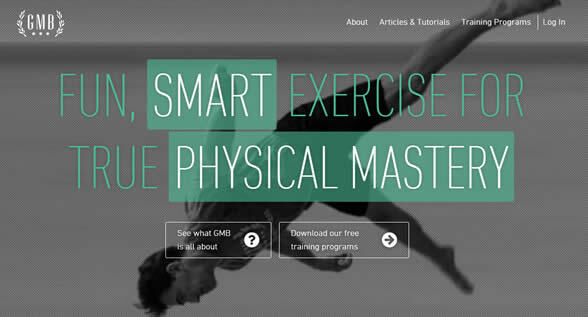 A membership site for fitness or exercise built on the Genesis framework for WordPress. Web designer is Theo Rosendorf. GMB teaches physical autonomy through a variety of body weight exercise skills. The design has to show movement and openness while conveying their humorous and honest approach. First thing that comes to mind is the load speed, very fast. I like the front page layout, and no sidebars on the inner pages so there is a lot of focus.